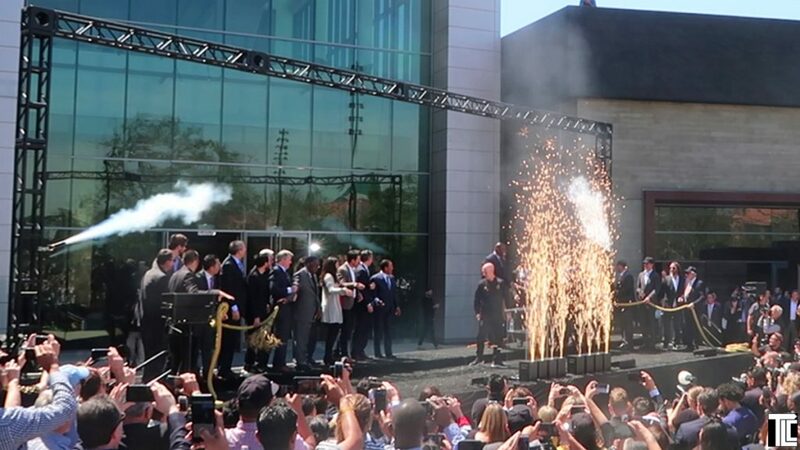 Banc of California stadium opens in LA! 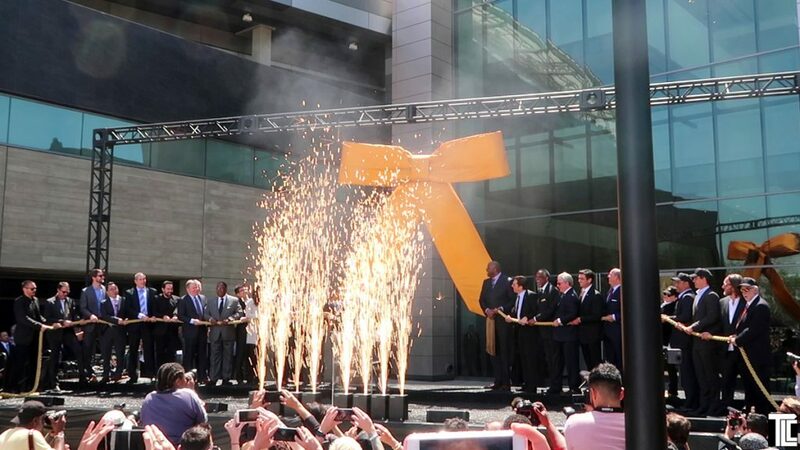 - TLC technical production and special effects, for an exciting ribbon-ceremony in Los Angeles. 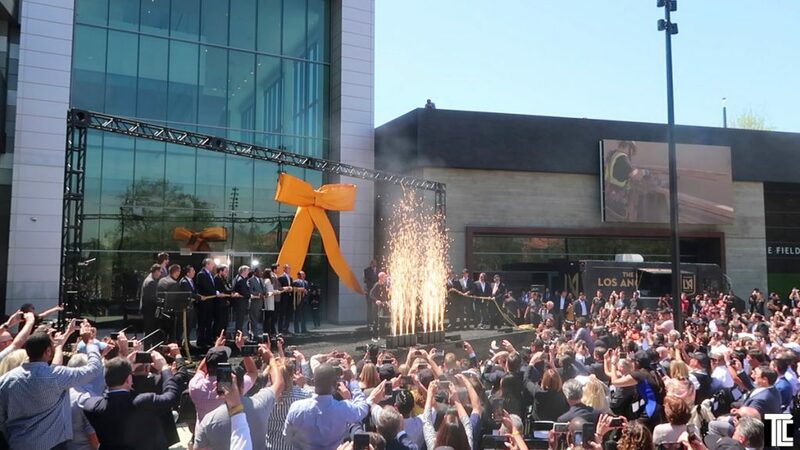 A special event ribbon ceremony was held in Los Angeles celebrating the opening of the new Bank of California stadium. 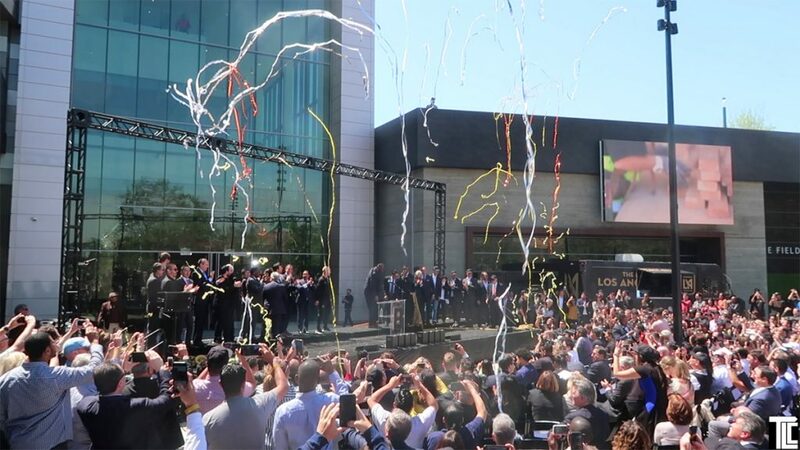 The new venue is a home base for the Los Angeles Football Club, and for Major League Soccer in Los Angeles. 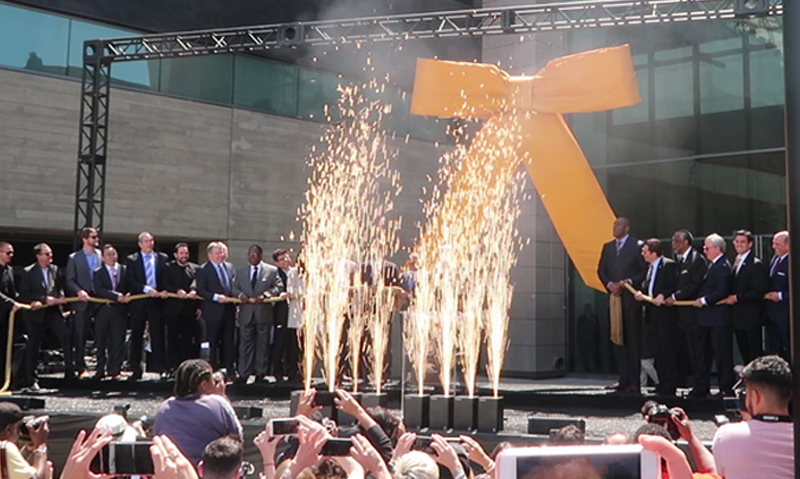 TLC created a ribbon-cutting show for the special event with live special effects, and provided technical production including staging, sound, and aerial drones. 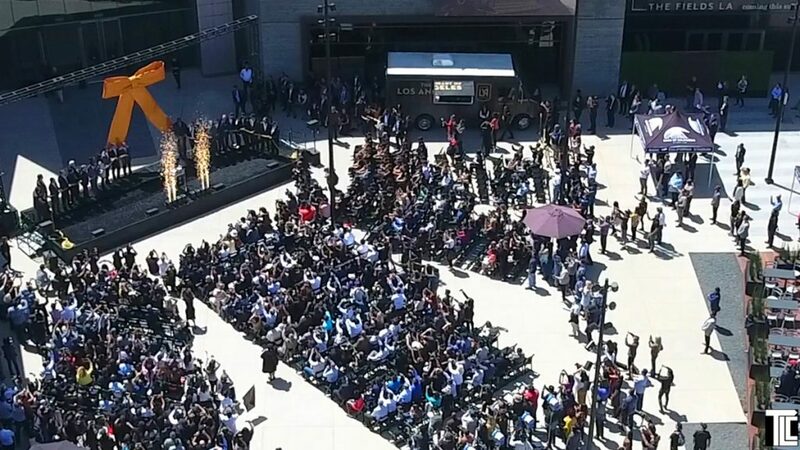 Live special effects were used to highlight the ribbon ceremony and to extend the excitement of the important moment. 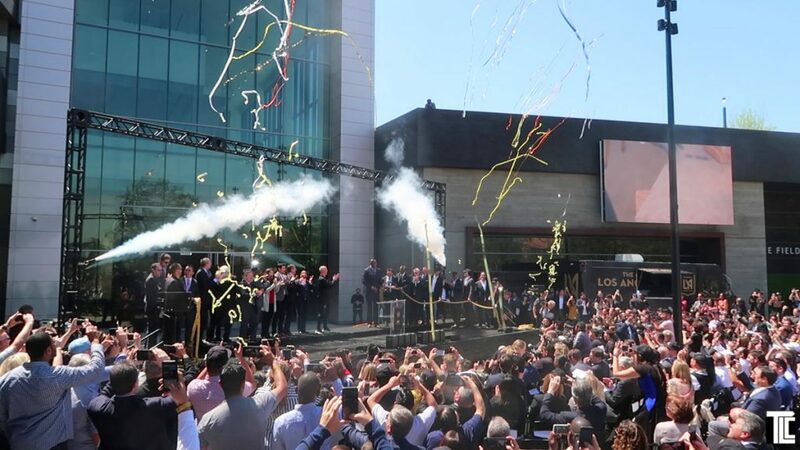 The special effect team of TLC Creative used white sparkle fountains and cryo jets to mark the moment, while also shooting out a climactic burst of streamers. 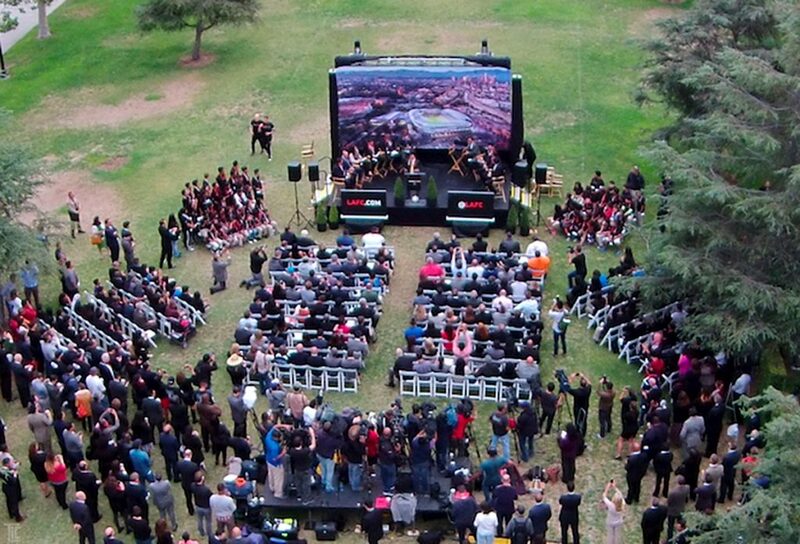 TLC also provided aerial camera drones, showcasing great views of the new stadium near downtown Los Angeles. Streamers and fog bursts by TLC mark the special moment, providing an exclamation point for the gathering, and triggering cheers and enthusiastic applause. In addition to staging and technical production, TLC is expert in many live special effects, from fire and water, to fog, wind, and snow effects. Streamers and confetti of every type, including custom cut and custom printed streamers and confetti. Consider creative confetti, such as paper ‘money’, leaves or logo shapes, or printed streamers which often become take-away souvenirs after the event. TLC provides event and production services for conferences, meetings, and has produced many multi-day conferences for high-profile clients, including Expedia, Panda Restaurant Group, and annual events for the CCA Central City Association of Los Angeles, and others. TLC creates customized special effects and reveals, kabuki drops, pull-aways, and screen drops, including the 360 degree video projection mapping for the pre-game shows at the Staples Center for the Los Angeles Lakers. TLC Creative provides technical production, event services, staging, video and audio, Xylobands, Hypervsn, live special effects and other new technologies for live events. TLC creates highly MOTIVATIONAL productions for corporate theater, and for meetings, exhibits, and conferences.